Home / Hot Deals / *Hot* Lego Watches just $9! Perfect for stocking stuffers! 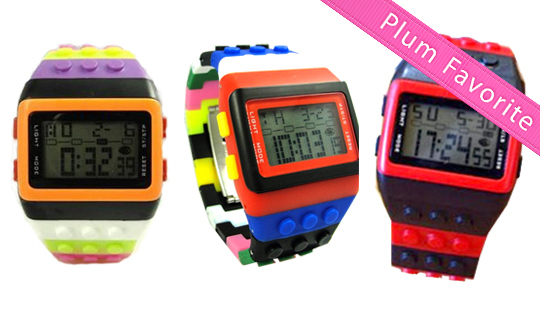 *Hot* Lego Watches just $9! Perfect for stocking stuffers! Head over and order your Lego Watch now for just $9: a Fun, Retro Holiday Gift! ($40 Value)!! The kids would love to find these in their stockings on Christmas morning! I am ordering the boys one each. Previous post: All I Want For Christmas is a Reusable Snack Sac From SnackTAXI!! Ends 11/18! !